Morning Peeples, I am so excited. 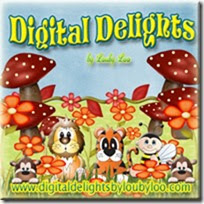 I have been selected to part of the fabulous Delightful Challenges Design Team. Did I say I am excited. OMG, I am so excited. Look for my first posting this Thursday, 4July. In the meantime, take a jog over to the store and see the new releases. There is still time to enter our weekly Delightful Challenge, red, white and blue. Morning Peeps, Happy Sunday mean new releases at DS4J store. So jog on over and see the new releases. I created with one of the images "Strawberries." I colored with the spectrum noir alcohol pens, added the spellbinder scallop die and use the EK success border punch and gel pen on the side, with the embossing folder on the strips. 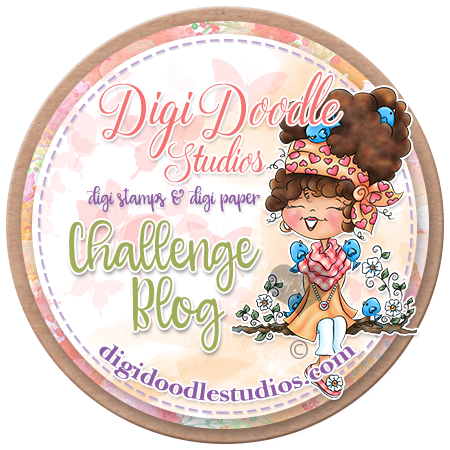 Morning Crafty Peeps, Today starts another challenge for Team A over Through the Craftroom Door, So jog on over and enter this anything goes challenge, today. My image is from Rick St Dennis, "The Lady"
Hello Peeps, This is my last week as June Guest Designer over at Flourishes Timeless Tuesday, challenge FTTC226, the theme "Make a Splash" create a card using watercolor, water scenes, colors of water. My image is from the Beach Life Stamp set, created with watercolor pens. I stamped out the Beach chair and sand from Beach Life Stamp set in Memento black tuxedo. I used wavy paper, dies, button, watercolor pens to color the image and twine to bring the creation to life. Please visit the rest of the team to gather more inspirations to fuel your creative passion! Morning Peeps, Midweek challenge #69 over at DS4J. So jog on over and come and play with us. The theme is For the men in our lives. I created with the image "A Lazy Day." Morning Peeps, Can you believe half of the year is gone and summer is knocking on the door. Tuesday Throwdown challenge #152, is being sponsored by The Paper Shelter. They were so gracious and sent over pre colored digi's to work with. The theme is Fantasy. She is so adorable about to take a bubble bath. As a little girl, I would fantasize to take a bubble bath. When I grew up and finally had a bath tub, that is exactly what I did, take a bubble bath. I stamped out the Tulip Vase from Tulips for Friends collection in Memento black tuxedo. I used patterned paper, dies, glitter, flowers, watercolor pens to color the image and ribbon to bring the creation to life. Morning Crafty Peeps, Monday means, Tammy's Scrappin Corner, challenge #67. Sponsor is Eureka and the theme is "Anything with Wings." I created with "Owl". Hello Peeps, Welcome to 613 Avenue, the neighborhood challenge #24. Team A is creating the inspiration for this challenge. Our sponsor is "Rick St Denis" and the theme is Anything Goes. The image is Andy, twist Someone Special. Morning Peeples, Midweek means sketch challenge (see below) over at the Outlawz. 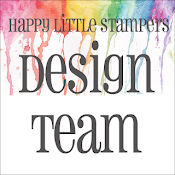 Freebie image from Becky's Creations frame "Daddy little Helper". Supplies: Echo Park, This & That paper, buttons, scraps paper, memento ink, black tuxedo, hero arts cling sentiment and swirl. Morning Crafty Peeps, Today over Through the Craftroom Door, Anything Goes challenge starts today and ends 17June. So jog on over and enter this fabulous challenge. 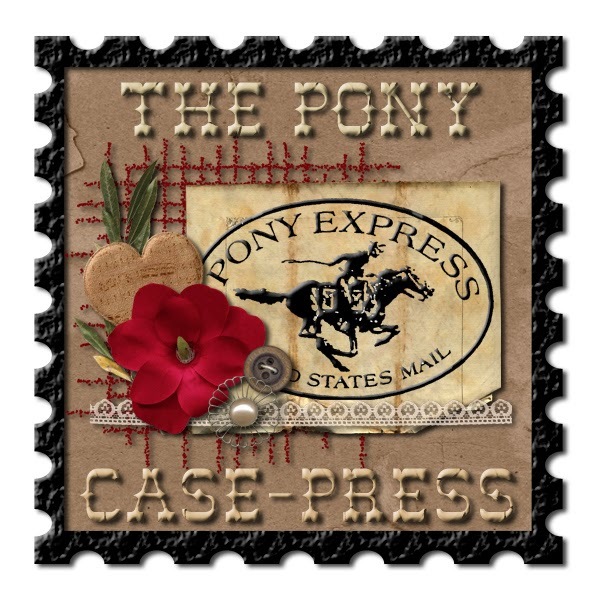 My image is from Eureka, "Pansie"
Hello Crafty Peeps, I am Guest Designer over at Flourishes Timeless Tuesday, challenge FTTC224, the theme "Movement" moves or opens in a non traditional manner. My image is from the Fruit and Veggies collection, Cherries and Peaches Stamp set, I used watercolor pens to color the image. I stamped out the Cherries and Peaches Stamp set and the sentiment from Fruit and Veggies in Memento black tuxedo. I used patterned paper, dies, bling and ribbon to bring the creation to life. You need to find out who today's Mystery Blogger is! Hidden among the Design Team is one Designer who has this set to give away. Comment on that blog and you could win today's beautiful Picking Wildflowers set! Morning Crafty Peeps, Monday means, Tammy's Scrappin Corner, challenge #66. Sponsor is SK Digi and the theme is "Masculine." I created with "Cookies & Coffee." All dads wants cookies with their coffee. Morning Peeps, Midweek challenge #68 over at DS4J. So jog on over and come and play with us. The theme is Youth Day. I created with the image "Game Zone." 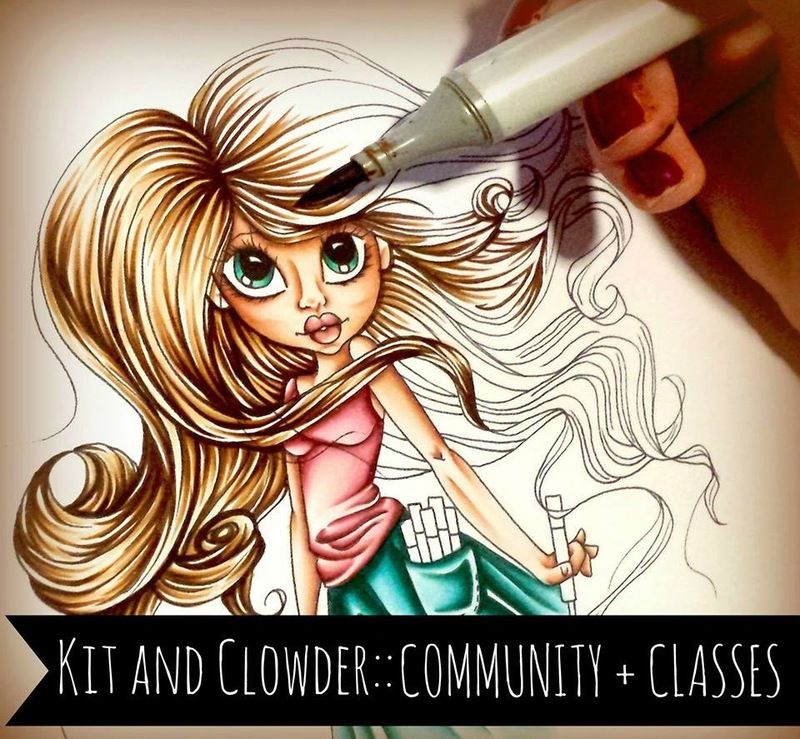 Creative Corner -- Boy, Oh Boy! Morning Peeples, Midweek means sketch challenge over the Outlawz. 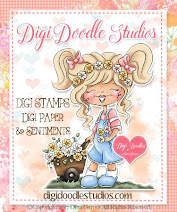 This is the digi I chose from Netty cards, Hugs. Morning Peeps, Can you believe half of the year is gone and summer is knocking on the door. Tuesday Throwdown challenge #150, is being sponsored by Robyn Fetish. The theme is embossing. Hello Crafty Peeps, I am Guest Designer over at Flourishes Timeless Tuesday, challenge FTTC223, the theme "From Your Garden." My image is from the Fruit and Veggies collection, Cherries and Peaches Stamp set, I used alcohol pens to color the image. I stamped out the Cherries and Peaches Stamp set and the sentiment from Fruit and Veggies in Memento black tuxedo. 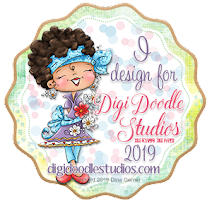 I used patterned paper, embossing folders, dies, buttons and ribbon to bring the creation to life.